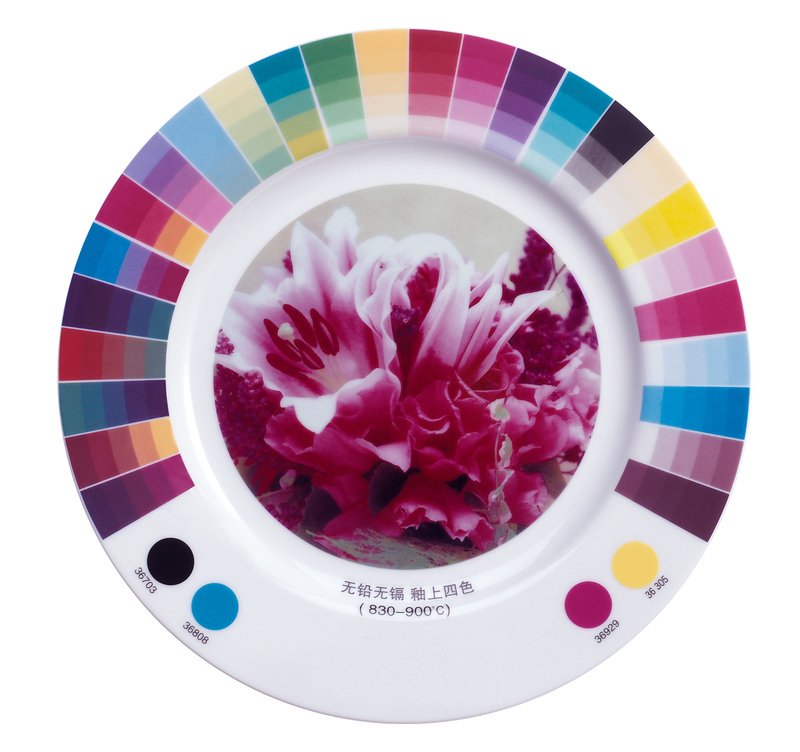 SELECTION 36 colors are lead and cadmium free onglaze colors for porcelain, bone china, vitreous china and earthenware. 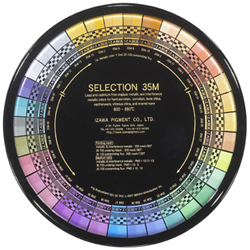 SELECTION 36 colors are technically lead and cadmium free with no more than 0.1% lead and 0.03% cadmium due to contamination on production. 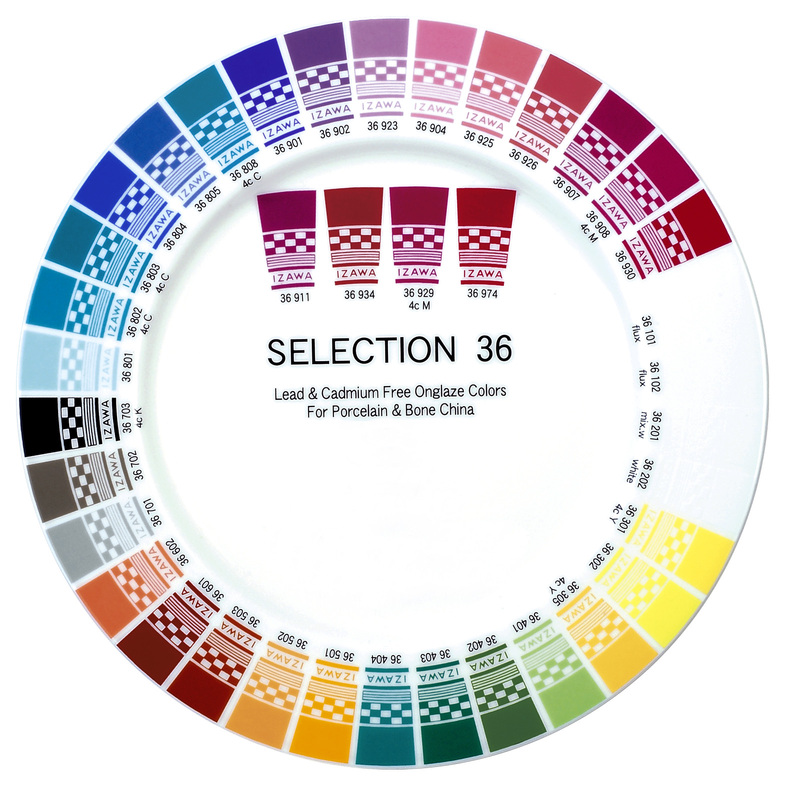 SELECTION 36 colors cannot be used in any leaded condition, applied on leaded glaze, mixed and fired with leaded colors. SELECTION 36 colors were carefully developed and tested optimum conditions to minimize cracking or chipping problems of hard glaze. 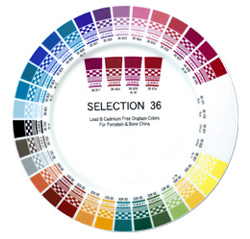 SELECTION 36 colors are suitable for normal firing and fast firing. SELECTION 36 colors are suitable for screen transfer printing; direct printing, spraying, pad printing and hand painting. Recommend mesh sizes are 180-330 mesh（71-130T）for all screen applications. 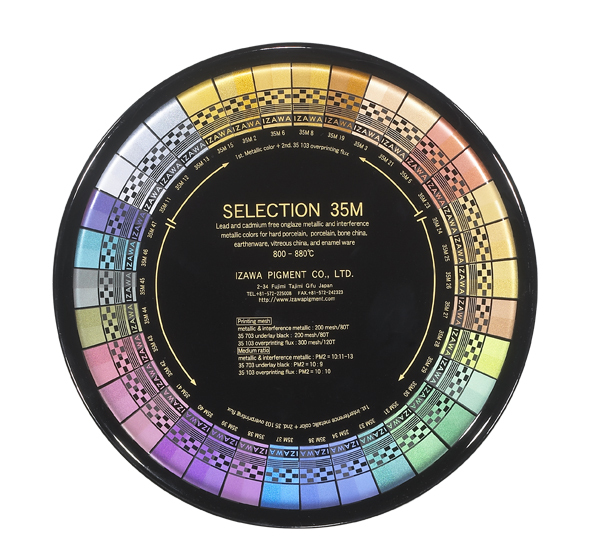 Lead free colors absorb any moisture easily therefore powder colors should be kept in a dry place. We recommend drying the color powder before using. SELECTION 36 colors can be mixed with each other in any proportions. To obtain pastel color tone 36201 mixing white or 36202 white are suitable. 36101（higher firing temperature）and 36102（lower firing temperature）flux are suitable for mixing and overprinting. Overprinting 36101 and 36102 flux can improve chemical resistance and color gloss. The recommended mesh size and powder to medium ratio to print 36101, 36102 flux are 250-300 mesh（100-120T）and 10:10-12. 36301 is lemon yellow and 36305 is orange yellow. They can be mixed to adjust the color tone. 36902 is intensive reddish new Magenta. 36808 is intensive and transparent new cyan. Overprinting 36101 and 36102 flux does not change color tone and can improve chemical resistance and color gloss. Recommend mesh sizes are 300-330 mesh（120-130T）for four-color process. SELECTION 36 colors show no lead and cadmium release after immersion in a 4% acetic acidsolution for 24 hours at room temperature. SELECTION 36 colors show no visible attack after immersion i n a 3% hydrochloric acid solution for 6 hours at room temperature except 36804 blue and 36901 lilac. SELECTION 36 colors show no visible attack after immersion in a 0.5% calgonite solution for 24 hours at 90. Firing in higher temperature and overprinting flux can improve chemical resistance.